With the popularity of beer on the up the supermarkets are going further afield, looking to some of the US brews in order to switch up their stock. 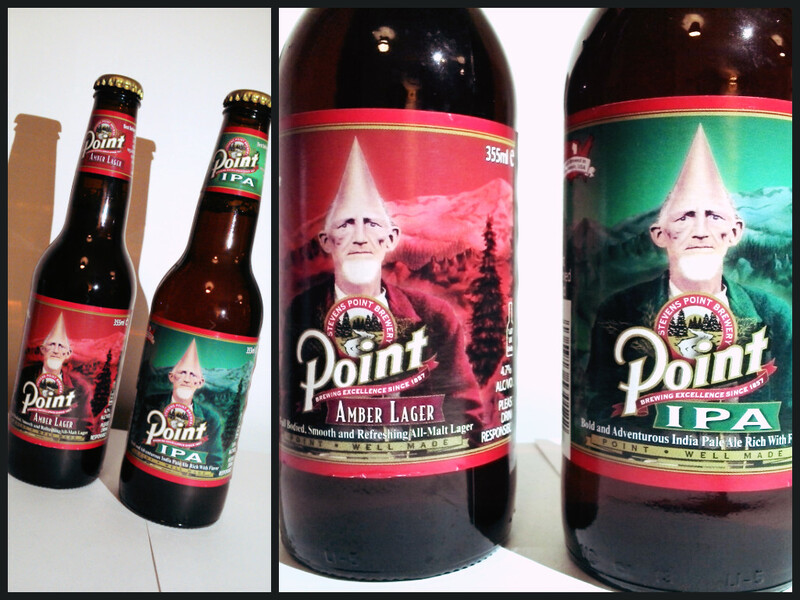 These are two recent introductions to my local supermarket’s shelves, Stevens Point IPA and Amber Lager, both easy drinking bottled brews. Points IPA – an American IPA at 5.6%, an easy drinker with sweet, caramel malts playing in the background and citrus hops dominating with grapefruit-like bitterness. A nice take on the style. Points Amber Lager – 4.7% Amber/Vienna style beer. Heavy on the caramel but well balanced sweetness and hops. Full bodied, smooth almost creamy. A nice bottled brew with a more rounded, balanced flavour than some of the homegrown real ales I’ve tried recently. These beers won’t blow you away but they are definitely worthy of a try and I would happily purchase the Amber again.